If you love hummingbirds, plant some of these! 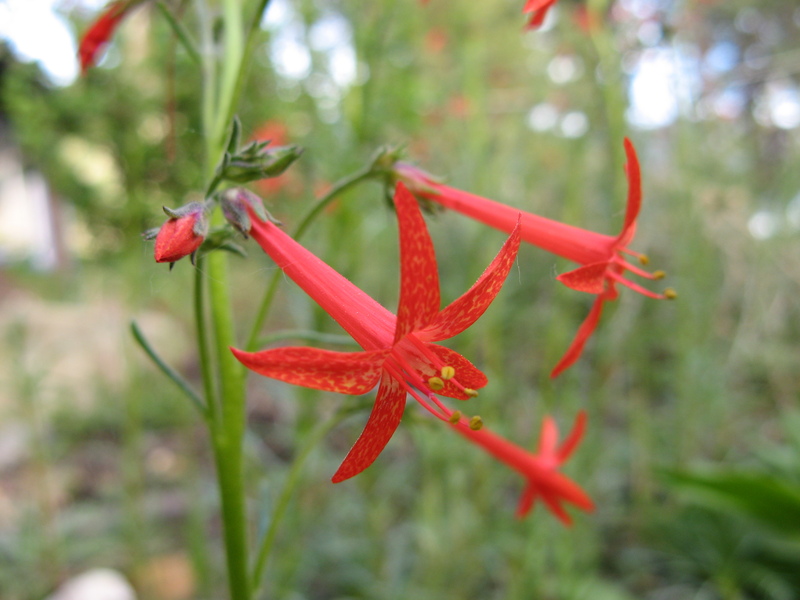 This drought tolerant native is long blooming and easy to grow. Firecracker flower is generally a biennial. The first year it forms a rosette of leaves. 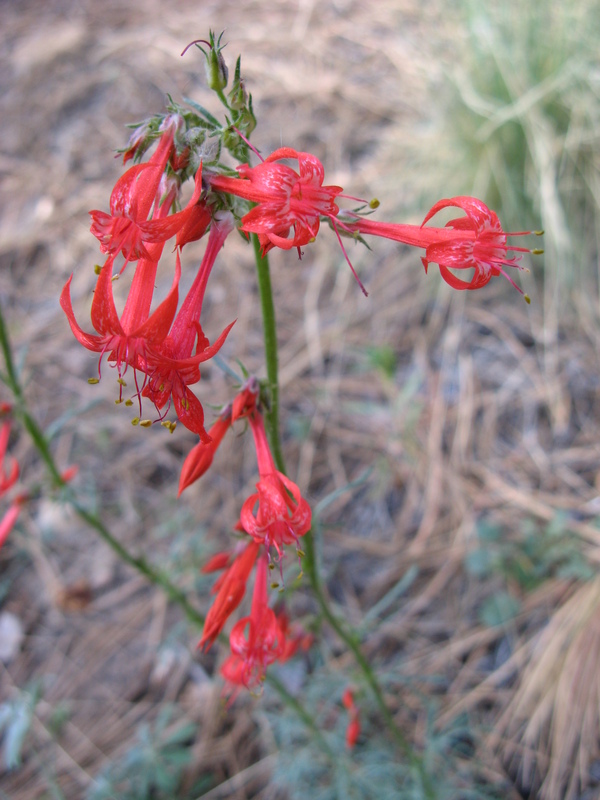 During its second year of life it creates spectacular tubular flowers in varying shades of red, then dies in the fall. In very poor soil or harsh conditions, it can take three or more years to bloom. A few plants in my yard have been short lived perennials. They have formed flower spikes in the second year of growth, bloomed, and died down once the hard frosts hit. The following year multiple flower spikes appeared from what I thought was a dead plant. One plant has been alive for four years. 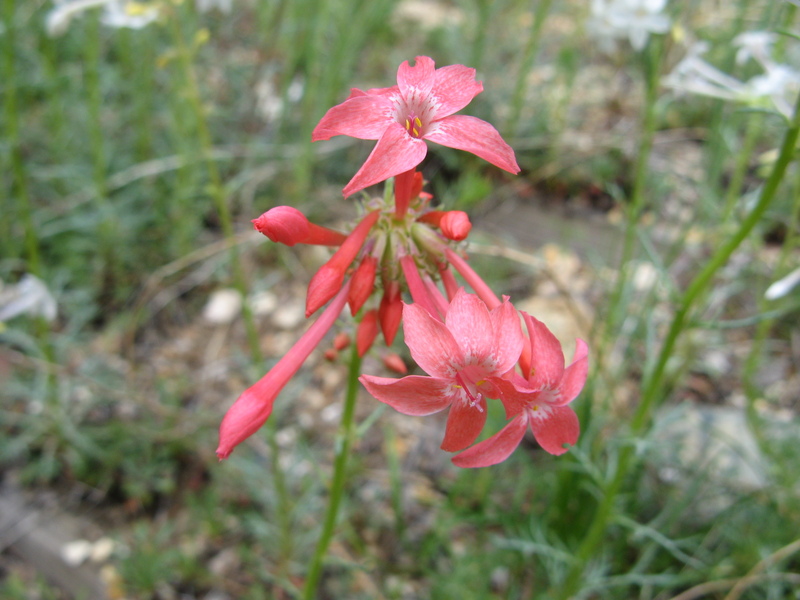 Firecracker flower can start blooming in early June in a drier year with a warm spring. With a small amount of supplementary watering (one good soaking a month in July and August) it can bloom until the fall. 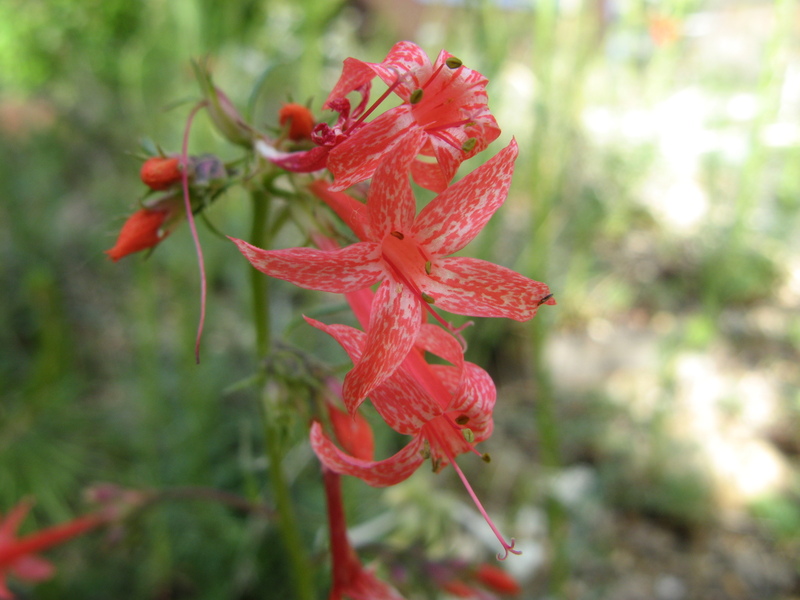 Firecracker flower seeds around in the garden and is quite adaptable. In the wild it tends to grow in dry soil that only receives water from snow melt and summer rain showers. In the garden, it will tolerate watering once a week. I tend to water the main part of my garden in the late afternoon, once the yard is out of hot sunlight. Firecracker flowers respond well to this “afternoon thunderstorm”, growing larger and blooming for a longer period of time. This plant can grow anywhere from eight to thirty inches tall, depending on the conditions. The happiest looking and longest blooming plants grow in sunny areas that get some shade in the afternoon, during the hottest part of the day. Direct sow the seed in the fall. 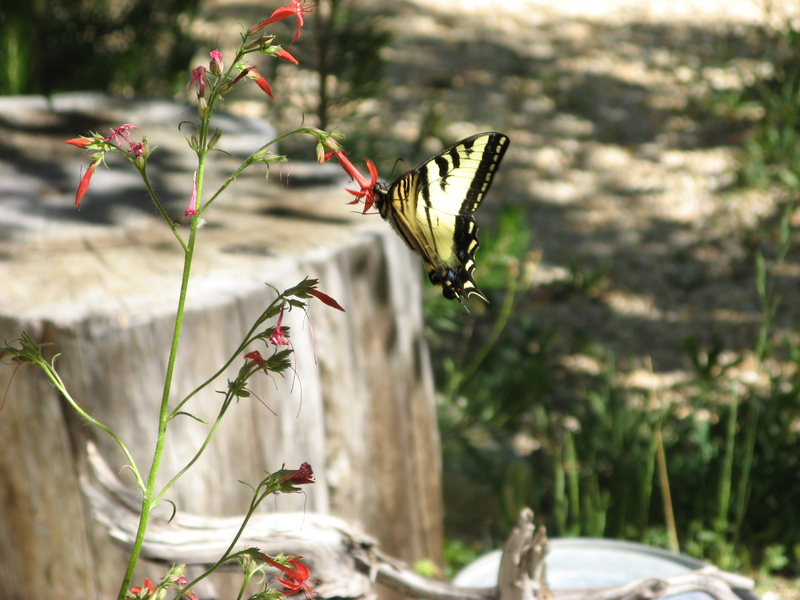 Firecracker flower is not only a great nectar plant for hummingbirds, it also attracts swallowtail butterflies. Chipmunks gather the seeds and stuff them in their cheek pouches once they are ripe. 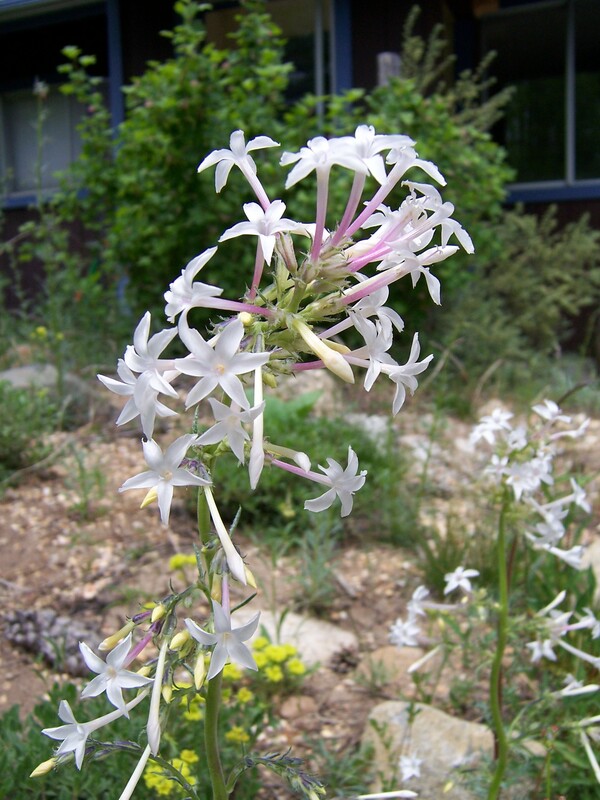 This plant has hybridized in my garden with the white flowered and fragrant Ipomopsis candida, a native of Colorado and New Mexico. The hybrids are a pale orange-white to a creamy red-orange and also tend to be fragrant. Sphinx moths love the hybrids as well as the pure white flowers of Ipomopsis candida.